We went to dinner the night before at the restaurant next to the campground. Dinner was okay at best, but worst of all I felt really sick afterwards. I made it through the night without much incidence and felt better the next day; however, Garrett was feeling rough when we woke-up. He didn’t have much of an appetite, and his stomach was very upset. 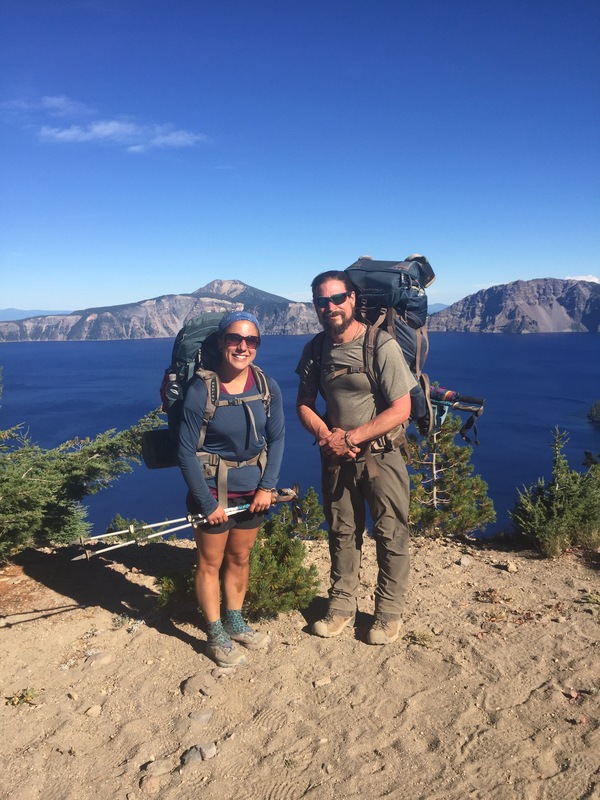 We soldiered on towards the Rim Trail that goes around Crater Lake. Garrett managed to eat lunch after the climb up, but his stomach remained unsettled. Despite not being in top shape, he managed to enjoy the beautiful views of the lake throughout the day. I us been there before, but Garrett hadn’t, and I was excited for him to see it. Crater Lake formed when 7,700 years the volcano Mount Mazama exploded; leaving a large cauldera. 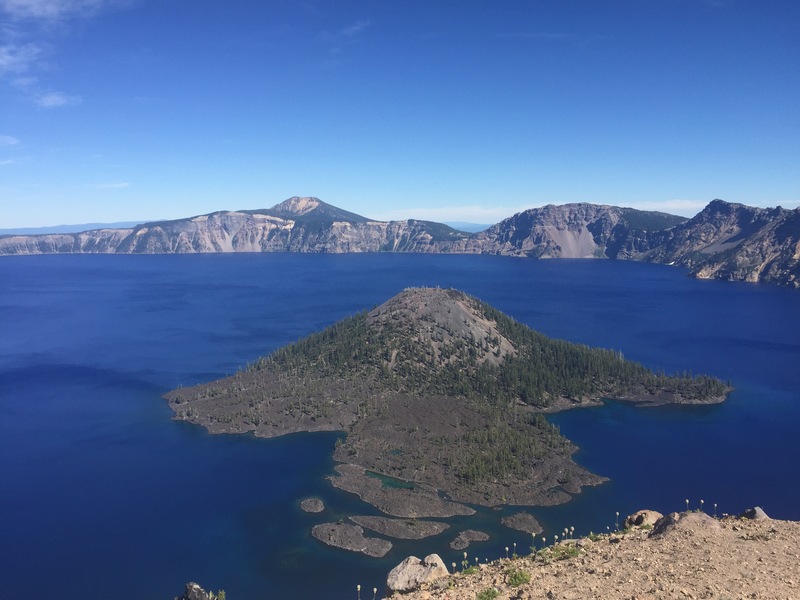 Over time, the cauldera filled with snowmelt and rainwater, forming Crater Lake. 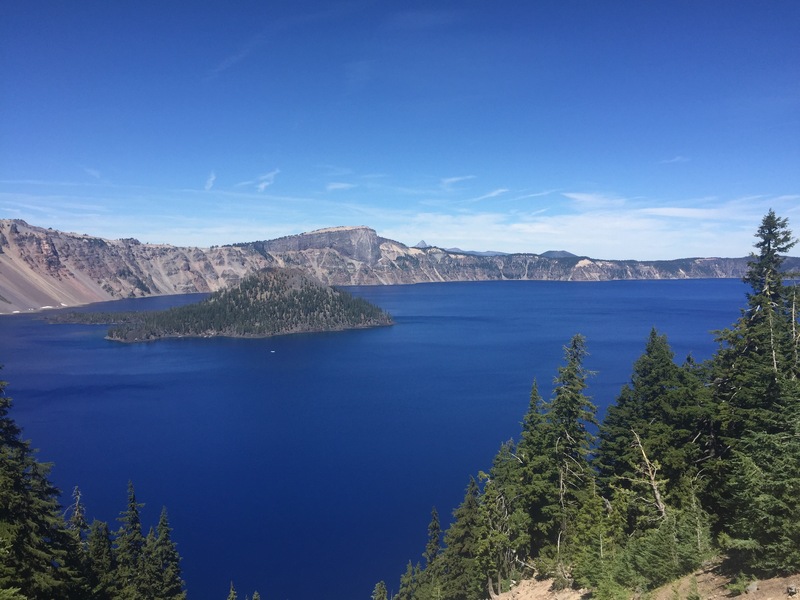 The lake is nearly 2,000 feet deep at its deepest point, making it the deepest lake in the United States. We took our time that day, and meandered around the lake. 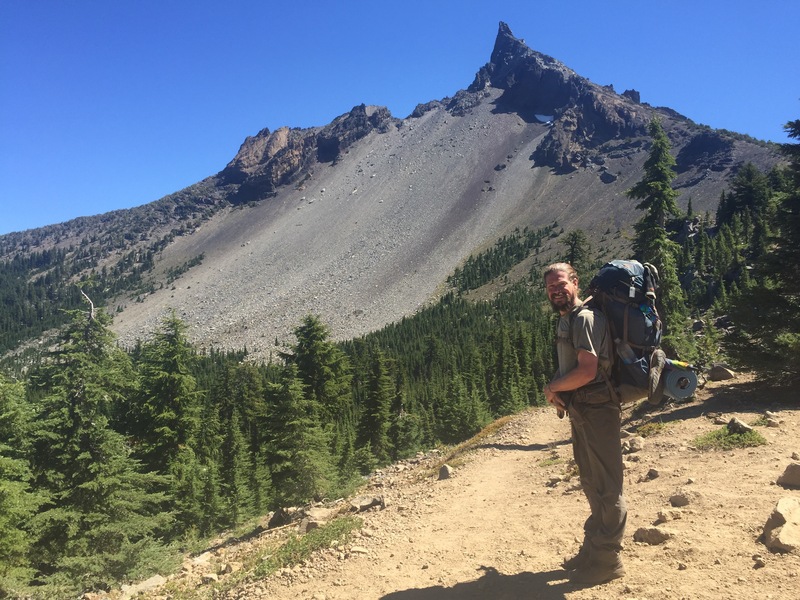 We peeled off the Rim Trail after about nine miles, and made camp a few miles later at backcountry Grouse Hill Camp on the park grounds. The next day Garrett felt even worse, and after we eked out barely nine miles we arrived at a state highway. 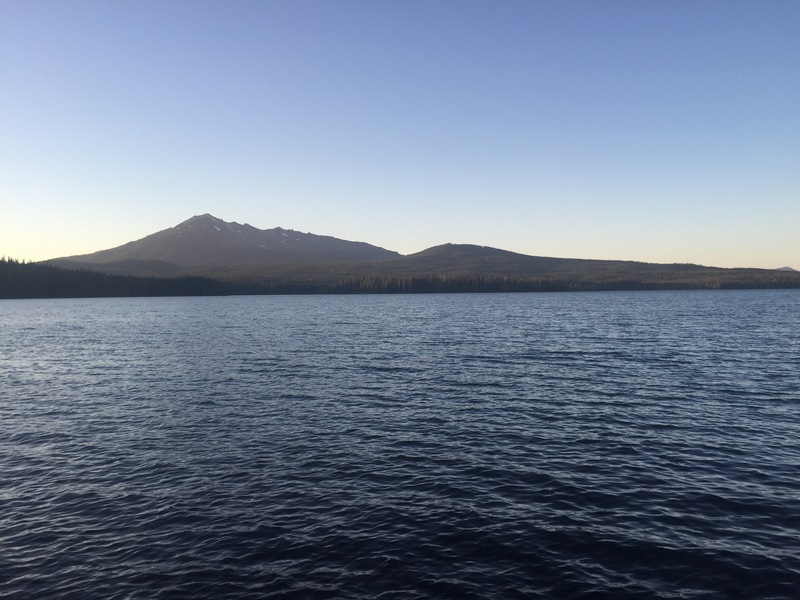 He looked pale, and hadn’t been able to eat much that morning, so I made the call that we should go into Diamond Lake Resort, which lay 10 miles to the west, so that he could take the time to get better. He insisted that he could go on, and while he could have, I didn’t want to watch him try. We had cell service, so we called down the the resort and they were able to come pick us up. The stay was restorative, and the next day Garrett had his appetite back. We had breakfast, and decided it was time to get back to the trail. It was a cool day, and we had great views of Mt. Theilsen. We’ve been enjoying Oregon immensely; despite the surprising lack of water and illness. 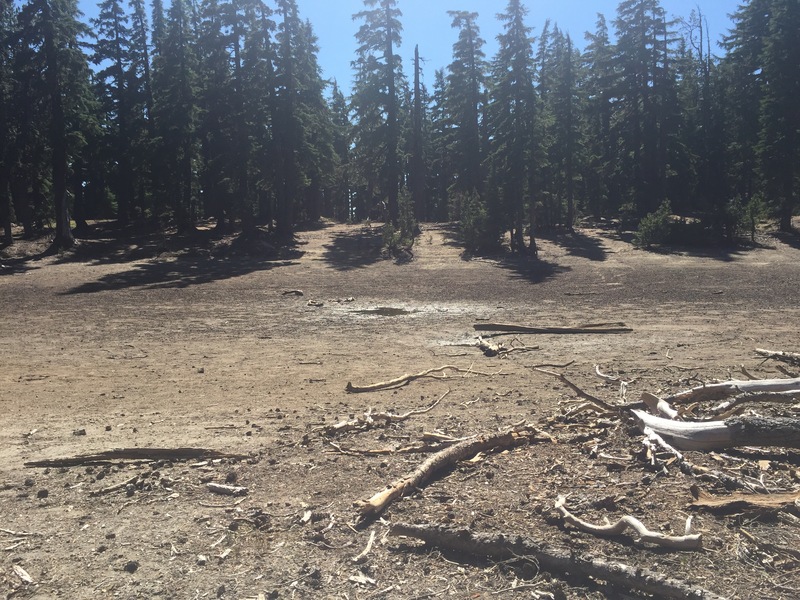 We’ve routinely had to carry water for over 20 miles at a time, which is surprising as Oregon is so green! Unfortunately on day 111 it was an actual problem. Despite all of our reports and guides telling us there was water in a pond, we arrived to find to stagnant stinky puddles instead. We had to each filter a liter, and reminded ourselves that that would take any disease causing particles out of it. We marched on the Summit Lake, nine miles away, and camped on a peninsula. It was nice to be surrounde by water after our very dry day! I am glad to hear that you took a break from hiking to let Garrett recover, after all this is supposed to be fun. We are building a little at our farm, which has turned out to be 17.5 feet deep and larger than I expected. Crater Lake put all of that into perspective. It will be a nice place for a rest in the summertime! We didn’t swim in it, but we didn’t get down to the water. I think you are allowed to if you do though! And yes, it is cold! You guys are doing great. Thanks again for the postings. 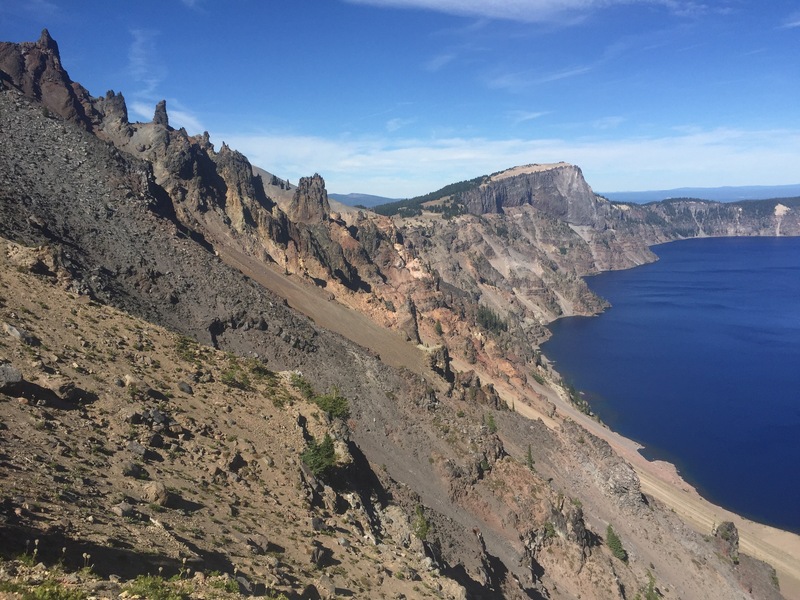 Last time we were in Crater Lake there was about 40 feet of snow on the ground. Good thing you are getting through there now as we were told the snow often starts in September. Us too! Although we’d like to see it in the snow, but we’ll save that for another time!